TMP Flat Top Hazard Markers are ideal for marking/delineating footpaths or any idea where a highly visible, impact resistant delineator/hazard marker is required. They feature a red high visibility reflector of the front face, with a white reflector on the reverse. 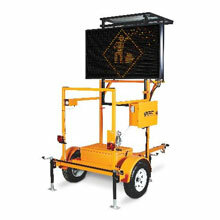 They are fully compliant with the W180 Delineator design in the Traffic Signs Manual. Flat Top Hazard Markers are fully impact resistant and will survive multiple impacts, ensuring the Hazard Marker continues to function and provide a clear warning to road users. They are quick and easy to install and this minimise the amount of time the installer is working on a live road, thus improving safety for the installation crew. Their ability to survive multiple impacts means they offer exceptional value and will continue to function for extended periods.